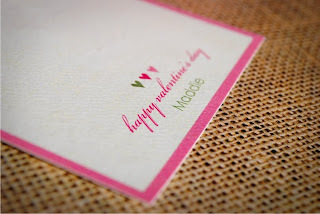 Here is a little Valentine DIY I wanted to share. I hinted about this in this post. With -30 degree weather here in Wisconsin it was the perfect morning to bring this all together. Yes, I did say -30 degrees(with the windshield) EEKS!!! My daughter is in 4k and I thought this would be a fun little Valentine for her to share with her girlfriends in her class. (Stay tuned...I have a simple little DIY for the boys as well). 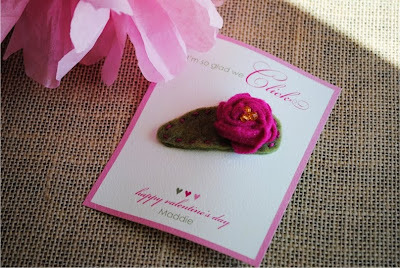 To get the basic idea/supplies for making and preparing the barrettes Purl Bee has a very pretty rose pattern. I used her basic barrette bottom pattern and made simple rosettes to adhere to the top. To change it up some I embellished some of them with decorative buttons. If you are not a crafter you can purchase barrettes from the store...same idea. 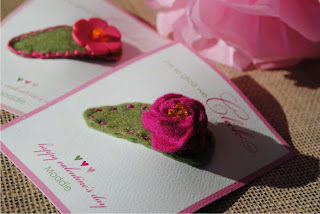 I clipped them unto this Valentine card I made. Get it? :) All you need is heavy card stock, a printer and an xacto. On the downloaded version I included a line for where the barrette should go. Cut there for the barrette to clip to. Once they are all made up Maddie and I will put them into a little cello bag along with a few sweet treats. Have a great weekend! 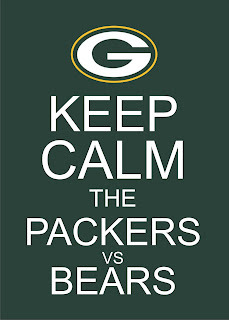 Oh, and I just have to say it...GO PACK GO!!! Thanks for sharing! GO PACKERS!!! Thank you so much for this post. 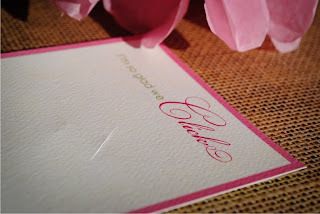 I want to let you know that I posted a link to your blog in CBH Digital Scrapbooking Freebies, under the Page 8 post on Jan. 28, 2011. Thanks again.